Ahhhh, spring is in the air. Let’s go outside! Integrity Academy is known for several unique programs, including its integration of outdoor education into the academic curriculum. Aerielle Anderson, M.Ed., serves as Level 3 Mentor and Math Team Lead and joins us on the blog to highlight Integrity kids' most recent outdoor learning adventures. With Integrity Academy’s proximity to such amazing sites as the Umlauf Sculpture Garden, Zilker Park, and the Lady Bird Lake Hike-and-Bike Trail, it’s hard not to get out there and take advantage of the learning possibilities. So we do! During the first weeks of May, Level 1 (ages 3 to 5) held a butterfly release. They had been learning about various insects through stories, art, play, and observing live specimens. They witnessed the stages of the butterfly’s life, from the caterpillar stage to the chrysalis to butterfly. The children released them in our beautiful front garden. They also got to closely observe argentine roaches. Then they witnessed one of Level 2’s frogs eat one! A link in a food chain up close! Level 2 (ages 5 to 7) goes on weekly excursions to explore nature. On one of their recent trips, they collected signs of life from forest and field ecosystems. They are planning to create ecosystem dioramas for either a field, forest, or stream ecosystem. 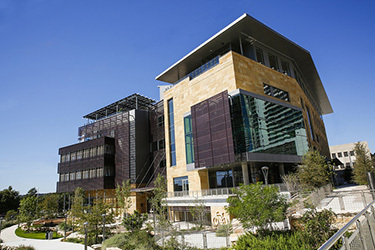 Their model will include pictures of plants and animals in one of these Austin ecosystems as well as the food web connections between those plants and animals. Instead of pictures, students can also use signs of life or nature artifacts (e.g., feathers, a pecan with a hole eaten out of it, a cast of an animal track). They also practiced walking through the forest quietly and noticed a lot more nature in the trees. For their first excursion of May, Level 3 (ages 7 to 9) enjoyed a walk to the Splash! exhibit next to Barton Springs Pool. On the way to the exhibit, they passed by the amphitheater in front of the pool, which is home to the endangered Barton Springs Salamander. When they arrived, learners found interesting facts to share with the rest of the school community. "Did you know that the Austin Blind salamander lives mainly underground and only at Zilker Park?" asked Mia. Level 3 kids went through the simulated limestone cave to learn the mysteries of Barton Springs and the Edwards Aquifer. They also learned about the water cycle and specifically how the water comes to our beloved springs, through interactive exhibits and games. Levels 4 and 5 (ages 9 through 13) walk to our new Central Library every other week. The 1.5-mile walk there and back gives them some good exercise and gets their blood pumping to their brains. Learners take advantage of the study rooms and the vast and various research resources, as they dive deep into a topic of interest or a concept of the week. Those first couple of weeks of May were beautiful, and we plan to continue to use the outdoors and neighboring attractions throughout the year. As it gets closer to summer, we’re planning to get wet and have some water-based learning fun in our Summer Unit! From Austin to New York, parents are putting a nutrition curriculum, healthy cooking lessons, and time spent in vegetable gardens at or near the top of the list of things they want their kids to learn in school, and many alternative and public schools, as well as government programs and nonprofits, are filling that need. I wanted to look at the variety of ways students are getting important nutrition information, and I can tell you one thing: This is not your mother’s Experiences in Homemaking class from the 1950s, nor is it my Home Ec class from the 1970s. It’s much tastier! Our alt ed community has long been active in emphasizing holistic learning, including healthy eating and gardening in daily school routines. For example, last year the Physicians Committee for Responsible Medicine awarded Austin’s Integrity Academy a “golden carrot” for its commitment to serving plant-based, organic meals. In the short run, commitment to students’ health means more energy and attention in the classroom, but in the long run it also means less risk of disease in adulthood. At Integrity Academy, kids spend a lot of time nurturing plants in the garden and learning to eat mindfully, enjoying the peas, squash, beans,and other crops they’ve grown themselves. In Texas, alternative schools led the way in bringing nutrition education and cooking into the curriculum, but now AISD is making big strides as well. With a Good Food Purchasing Program that includes sustainability, animal welfare, fair farm labor, and nutrition in its considerations when sourcing food, AISD is improving the quality of breakfasts and lunches served to students. Many of the veggies in those meals now come from the Garden to Café program, started last year at six Austin-area schools where kids can now plant, harvest, and eat their own greens. Another source of yummy, local food for Austin schools is Johnson’s Backyard Garden. Nearby, in San Antonio, the Culinary Health Education for Families (CHEF) program, launched this year with funding from the Goldsbury Foundation and supported by the Children’s Hospital of San Antonio, is getting serious about children’s health. The program is setting up teaching kitchens for students at the YMCAs, Boys and Girls Clubs, and even the San Antonio Botanical Garden, as well as partnering with local public schools. Across the continent, in New York City, Yadira Garcia is among many professional chefs working in the innovative Wellness in the Schools program, a growing nonprofit that now reaches about 50,000 students in New York, New Jersey, California, and Florida. The chefs teach cooking classes and nutrition during the day and create special events involving parents after school. In a recent New York Times article, Garcia noted that the key is for students to make the meals themselves, so they “turn into the best salespeople,” encouraging their friends to try the kale chips, black beans, and salads they’ve created. A for-profit New York City enterprise called Butterbeans is run by two moms who were looking for a way to bring healthy food and wellness education to students in a playful way. In addition to providing lunches to about 15 schools in the city, Butterbeans also offers camps where kids can learn to grow and cook their own food while exploring urban gardens around the city. In Virginia, where I live, a project with a great name, the Dr. Yum Project, is all about teaching preschoolers and parents to get off to a healthy start with a curriculum that makes cooking and learning about food an adventure. The nonprofit, which is the brainchild of pediatrician Nimali Fernando, also features a “meal maker machine” to help busy families solve the perpetual problem of what’s for dinner with healthy recipes to prepare together. Okay, now I’m hungry. Time to look for some carrots and blueberries to replace those oreos that are whispering my name . . .
We invited Gina McMurray to the blog to share a wonderful new initiative for alternative educators in the Austin area. Gina works as a mentor at Integrity Academy and is volunteering her time to coordinate this effort. If you know educators at alternative schools who could benefit from the exchange program, be sure to pass along this post! Collaboration and idea sharing among mentors are daily events at Integrity Academy. We are all on the same mission: to change how we as a culture approach education. Let’s join together in a new form of collaboration with a Teacher Exchange Program! Mentors/teachers/guides at two different schools can switch places for the day, and learn—through direct interaction—what makes those schools awesome! We will experience what is successful and unique at another alt ed school and bring it “home”: putting into practice new ideas that we gain from other educators and learning environments. Integrity Academy and Whole Life Learning Center are spearheading this movement, and we are in the planning stages of our first exchange date. One of our mentors will spend the day at WLLC, while one of theirs will come work with us. We all get the benefit of sharing teaching ideas and alt ed culture—without having to hire a sub! If you are interested in participating in a Teacher Exchange day, please contact me at gina@integrityacademy.org, and I will help facilitate it. Thank you! At Integrity Academy kids ages three to thirteen experience lunch time and snack time as opportunities “to commune over food in a public setting, with manners and reverence,” says Executive Director Ali Ronder. As beautifully shown in a recent video (above), they use real dishes, glassware, and cloth napkins instead of styrofoam trays and plastic sporks. The kids also help to grow their own food in an organic garden, including a “rainbow garden,” where they are currently planting the red end of the spectrum, including strawberries. Students learn about nutrition in twice weekly classes, making yummy snacks like banana “sushi” and blueberry smoothies. Ali says that taco day is everyone’s favorite, but all the lunches on the weekly menu are tasty, colorful, and vegan. Celebrating Integrity Academy’s dedication to serving students plant-based, healthy, organic meals, the Physicians Committee for Responsible Medicine recently awarded the school a “Golden Carrot” and a prize of $750. “Not only are these foods helping students stay focused and energized in the classroom, but they’re also reducing long-term risk for chronic diseases,” according to Physicians Committee dietician Karen Smith. The academy’s educational philosophy has always included devotion to a whole food, plant-based diet as the basis for healthy learning. Two full hours of the students’ day are devoted to learning how to care for their own bodies through yoga and games, in addition to nutrition and gardening classes. Parents and mentors at Integrity Academy point to the fact that even kids who are initially wary end up enthusiastic vegan eaters as their palates develop over time. And with healthy bodies come more energy and the “emotional resilience” that makes learning and getting along with each other so much easier and more fun. All you have to do is take a look at the academy’s blog to see that’s true. “Spring is the time of plans and projects,” said Leo Tolstoy. Or maybe it was Martha Stewart? In any case, plans and projects are happening at many of Austin’s alternative schools right now, and we’re excited to share them with you. Here’s a roundup of major changes happening in the near future at Austin-area schools. For more information about any program, check the school’s website or give them a call. This summer the Whole Life Learning Center is building a new math and music classroom indoors and adding new playground equipment outdoors for kids who want to climb and spin. Are you in need of an enrichment class for a child 5 to 10 years old? Terra Luz Community School's Karen Hernandez soon will welcome Terra Luz students as well as homeschooled kids to a new class on Fridays. The school is also expecting a new teacher to join the team in the fall. Radicle Roots Community Schoolhouse is adding a class for 5th graders next year. If you’re interested, apply via their website as soon as possible. In addition to new students, RRCS will welcome a new teacher to replace 3rd–5th grade teacher Aaron Goldman, who is heading to Baltimore to study for an MFA. Everyone wishes Aaron all the best as he pursues his dreams. New adventures are on the horizon at Progress School. Starting this fall, Progress will offer a three-day program focused on interdisciplinary, project-based learning for kids 11 to 13 years old. The program is all about collaboration and relationships and is designed around student interests. Portfolios will allow for self-assessment and sharing learning with others. As of August 2015, Integrity Academy will expand to include 11- to 13-year-olds in Level 5. The folks at Inside Outside School have chosen “May the Forces Be With You,” as their theme for the coming school year. During the summer kids will be helping with the school’s CSA and participating in the farmer’s market. Is your child a maker and an artist at heart? Creative Side Jewelry Academy is now serving students aged 10 to15 years old and starting a new after-school program in the fall. The school’s curriculum is expanding to include bronze and silver casting techniques for Summer Apprenticeships and Jewelry Biz for their Kidz Homeschool program. Clearview Sudbury School is growing—with 40 percent more space, more students, and more diverse activities. Clearview’s tech offerings are expanding, too. Through a grant from V M Ware, the school is adding a new virtual machine server, which will give school members access to powerful new computing resources on their laptops and tablets or through the school’s own clients. Students will be trained as administrators of the new system, which will include software environments for video, image, and music editing; animation; scientific computing; and even Minecraft. 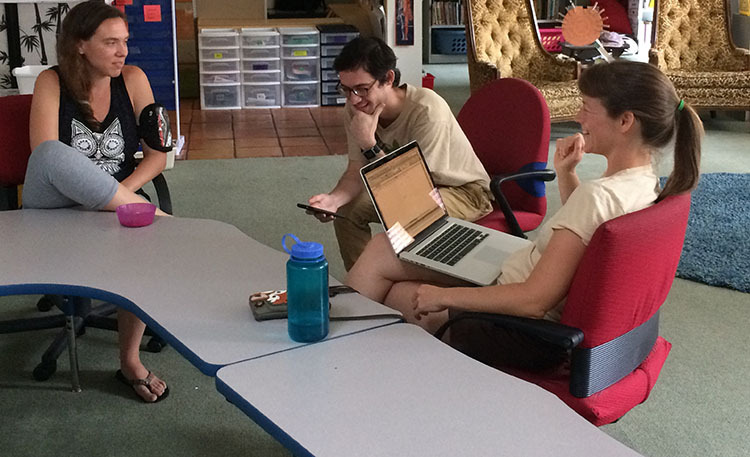 Austin’s alt ed community has seen lots of movin’ and shakin’ this summer. Here’s a roundup, in no particular order, of some changes you should know about as you're looking for schooling options for your kiddos. A new school serving ages 3 to 103 is forming in Central Austin, just south of the river: Integrity Academy at Casa de Luz, Center for Integral Studies. Led by executive director Ali Ronder, formerly of AHB Community School, and founder Eduardo “Wayo” Longoria, the school is currently enrolling (and hiring!) for the 2014–2015 school year. You can help shape the school’s future or just enjoy a stimulating discussion about how humans learn by attending one of Integrity’s weekly salons. Taking over the helm at AHB is M. Scott Tatum, who brings a wealth of experience in arts education, administration, and integration. Meet Scott and learn what makes this part-time elementary school in Hyde Park special by watching its new series of short videos. Bronze Doors Academy has a new campus and a new name. According to director and chief motivator Ariel Dochstader Miller, Skybridge Academy will continue the same liberal arts college–like program for junior high and high school students for which Bronze Doors was known, but with some additional STEAM (Science, Technology, Engineering, Art, and Math) opportunities made possible by its new location at the Stunt Ranch in Southwest Austin. As always, both full-time and à la carte options are available. Accompanying Skybridge in the move to Oak Hill is its elementary school partner, the Soleil School. Cofounder and head of school Carly Borders says the new location on the Stunt Ranch will give her young students access to a ropes course, a pool, and more than 20 acres of beautiful land to explore. Another unique school on the move this summer is Acton Academy. Construction on its permanent home on Alexander Avenue in East Austin is nearly complete. Laura Sandefer, Acton’s cofounder and head of school, invites you to check it out at the open house on October 24; meanwhile, take a peek at this architect’s rendering. It looks plenty big to house the academy’s current elementary and middle school students as well as the high school program slated to open in 2016. The Olive Tree Learning Center, a Reggio Emilia–inspired preschool, recently opened its second campus, at 6609 Manchaca Road, near Garrison Park. Like the original Bouldin Creek campus, the new one is currently enrolling children between the ages of 18 months and 5 years. Director Michelle Mattalino says she is “very proud of the staff at both locations” and excited to fill the beautiful campuses with happy children. Mariposa Montessori is also opening a second campus in South Austin. It will house this American Montessori Society full-member school’s new Lower Elementary program. Head of School Whitney Falcon recently reported that there were a few spots open for fall enrollment. Likewise, the Inside Outside School has expanded to serve kindergarten through 6th grade this fall, says executive director Deborah Hale. Its current enrollment of 24 will make up three classes—primary, intermediate, and upper elementary—on the school’s seven wooded acres in Pflugerville. 9th Street Schoolhouse is growing, too. The East Side home-based school will serve ages 5 through 9 this fall, with 8 students currently enrolled. 9th Street now has two mentors: founder Caitlin Macklin and Laura Ruiz. Finally, the Whole Life Learning Center is rolling out a new nature-based one-day program called Mother Earth Mondays, which fosters a connection with the earth through gardening, wilderness survival skills, arts and crafts, games, and other fun activities with mentors Braden Delonay, Caroline Riley Carberry, and Leesalyn Koehler. In addition, director and founder Michael Carberry says he is excited to introduce the newest mentors for the Teen Mentorship Program, Kizzie, Etienne, and Adam, whose bios will soon be posted on the WLLC website alongside those of the school’s veteran staff. Any questions or comments for these movers and shakers? Feel free to leave them below.